Santiago could well be a miraculous place. It’s wondrous, in fact, that it exists at all. Hopelessly isolated for centuries, destroyed several times by earthquakes and repeatedly pounded by financial meltdowns and political crises, this city is one tough cookie. It’s no surprise the world is setting its eyes on the Chilean capital as it finally shakes off years of shortcomings and bounces fashionably into action. 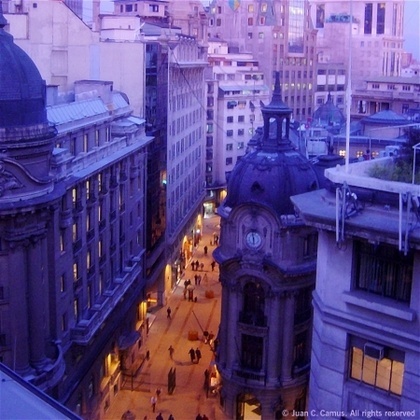 Down the ages, life in Santiago has been more defined by resourcefulness than excess, yet it cannot be denied that the city has continually exerted an alluring effect on the hundreds of thousands of soul-searchers who have made it their home. The spirit of its population is evidence of an unyielding belief in self-improvement, hard work, and of course, miracles themselves. Brighter, bolder and braver that ever before. 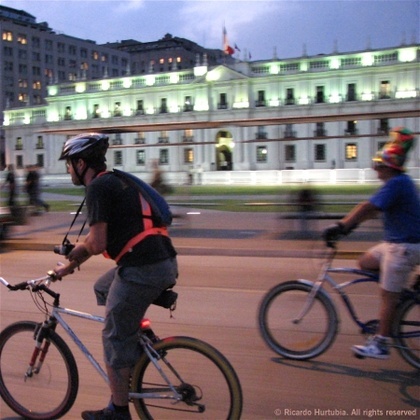 These days, Santiago is very aware of its astonishing transformation. Locals take a subtle, but indisputable pride in the efforts they have made towards turning what used to be little more than an oversized village, into the trendy and slick-looking business hub of today. You won’t fail to notice the line up of skyscrapers in the smart business districts or the ostentatious engineering projects that have revolutionised the appearance of the capital. But you’ll also attest that old, nostalgic Santiago feels revamped, its plazas and lush parks are more inviting and its architectural heritage shines brighter thanks to the years of prosperity and democratic stability which have lifted the city’s morale. Santiago is neither overtly seductive nor instantly absorbing, but it’s a place with plenty of surprises up its sleeve and a wealth of hidden charms that are as captivating as the pleasant down-to-earth attitude of its citizens. It’s easy to engage with Santiaguinos, and it is precisely them who will lead you to discover, appreciate, or even love their city for what it is. Much of the capital’s boosted confidence has been sparked by the rise of an incisive, eclectic and daring new generation. Audacious locals have taken over crumbling 19th century palaces and converted them into glamorous bistros, they’ve transformed unused factories into sophisticated restaurants and garages into modern art galleries. The city feels injected with a buzzing new energy and an unwavering dedication to make it a genuinely better place to live and enjoy. Though Santiago is still an excellent illustration of Chileans’ irreproachable work ethic, it also portrays the country at its bohemian best: open-minded, unpretentious, and certainly never dull. Still, there remains a less publicised and more intimate side to the capital. The scenes of churchgoing ladies mingling with neatly dressed gentlemen at the centro histórico; the smell of fresh fruit and vegetables on sale at street markets and the sounds of chatty, gossipy housewives sweeping the sleepy sidewalks of the city’s many barrios are sensations that refuse to go away. They are as vital to Santiago as the ubiquitous and imposing Andes mountains and as authentic as the fast-paced transformations with which they have learnt to coexist. Because this is a place where quaint and cutting-edge seem to blend in perfectly, a sign of a city at peace with the notion that whatever comes next, will add a new ingredient to its ever-changing identity. It’s true that most visitors are not as compelled to travel here in search of the city’s personality as much as they want to explore the natural beauty which makes this country so renowned. Yet Santiago’s is located in one of Chile’s most fertile and geographically diverse regions and you’re never far away from an indulgent break from urban life. Take your pick: from inspirational wine tasting at some of the world’s most celebrated wineries to ski-boarding on the slopes of glitzy winter sport resorts. If you look in the right places, the city and its region are full of possibilities that can supply you with a riveting induction into the modern Chilean way of life. But do give yourself this opportunity, because it won’t come knocking at your door. Pack a whole lot of intent, leave your preconceptions at home, and start believing in miracles.